Written and Media by Jen Brakenhoff. Baysinger has been playing tennis for eight years. She discovered she was a natural the summer before her first year of high school. When Baysinger was a freshman at GC, she was a starter and received the newcomer of the year award. When it comes to singles and doubles she is an outstanding player, but she prefers doubles because it gives her more time at the net. “Singles can be more challenging because you are the only one on the court against your opponent. It’s like 50% skill and then 50% mental game,” says Baysinger. 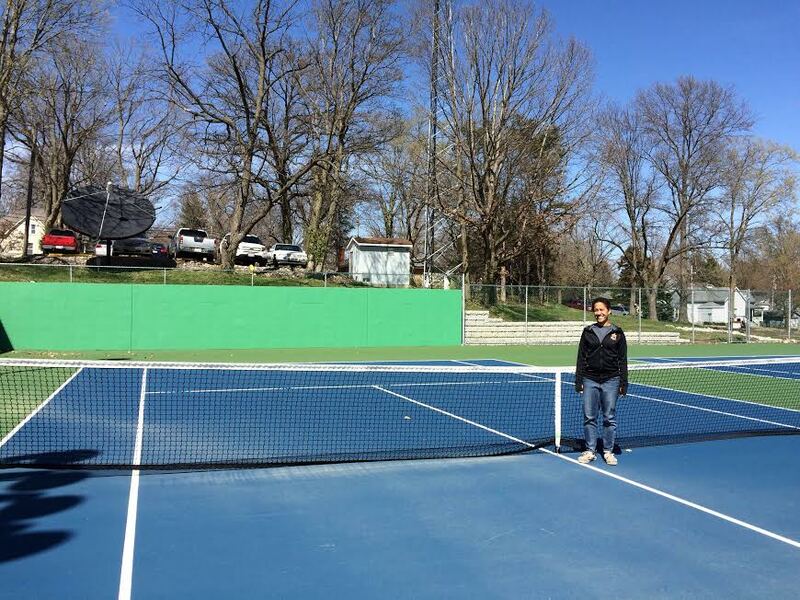 The Greenville Women’s Tennis program is special to Baysinger. She adds, “We are a big family. Tennis is unique because it is a team sport and an individual sport. We compete with each other sometimes, but most of it is us encouraging one another.” As teammates, they build each other up through encouragement and helping each other hone their skills. 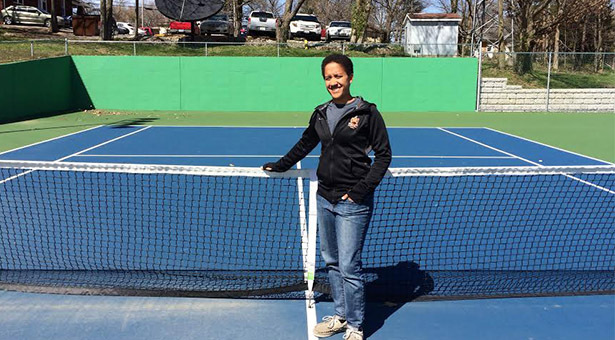 Being a part of the tennis and soccer teams gave Baysinger many cherishable memories. Her favorite soccer memory was beating Principia this past season since Women’s soccer only beat them two times in Greenville College’s history. Some of Baysinger’s dearest tennis memories come from her freshman year when GC beat Webster and upended Principia’s two doubles teams. She achieved great individual accomplishments throughout her four years of tennis at GC and is continuing her excellence this season in defeating Stephen’s number one player in the first weekend of competition. Playing two sports in college is a challenge for Baysinger because she is involved with other activities, but she has learned a wide variety of skills in the process. “Soccer helped me learn about the family aspect of a team and what it looks like to have a team that supports each other despite wins and losses. Tennis allowed me to look more into the coaching aspect of sports and what that looks like,” quotes Baysinger. Greenville College impacted Baysinger tremendously. She explains, “Greenville pushed me to become a person that I would not have imagined graduating as a senior in high school. The past four years have made me break out of my own perception of myself.” GC helped Baysinger step outside of her comfort zone in playing two sports and traveling to different countries. Playing sports was not a part of her plan, but it was a part of God’s plan. “Greenville forced me to refocus on the plan that God has for me and pushed me to trust him in the steps that I take” Baysinger commented. If you haven’t seen Lexi Baysinger play, she is an incredible athlete. 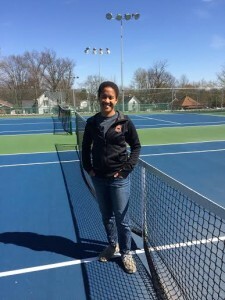 The Greenville College Women’s Tennis team’s next match is this Friday, April 8 at 4:00 pm against Westminister, and the next home match is Monday, April 11 at 3:00 pm against Rend Lake. If you want to wish her good luck, her favorite snack is Cheez-It’s and Dr. Pepper! Good article Jen. Second picture is too far away.